The Big Secret at the Clinton Engineering Works. | A Continuous Lean. The Big Secret at the Clinton Engineering Works. 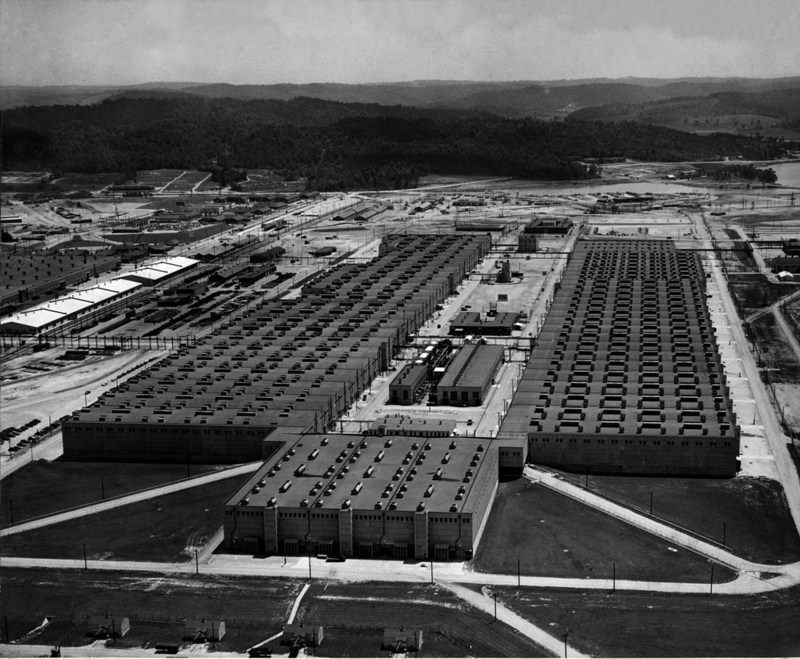 In April of 2012 I posted about Oak Ridge, Tenneesee, one the U.S. government’s secret Manhattan Project sites that was established to produce the fuel for the first Atom bomb. The post was spurred by the Department of Energy and the digitization of their photo archives, which included a lot of long classified photos of the secret town. You can read all about it here. That post got a lot of attention and people all over the world were curious to see the photos and learn about how a town of over 80,000, which was home to the largest building in the world at the time (the K-25 enrichment building at CEW, which is pictured above and below), had the 10th largest bus network in America and used more power than the whole of New York City managed to remain a closely held secret. 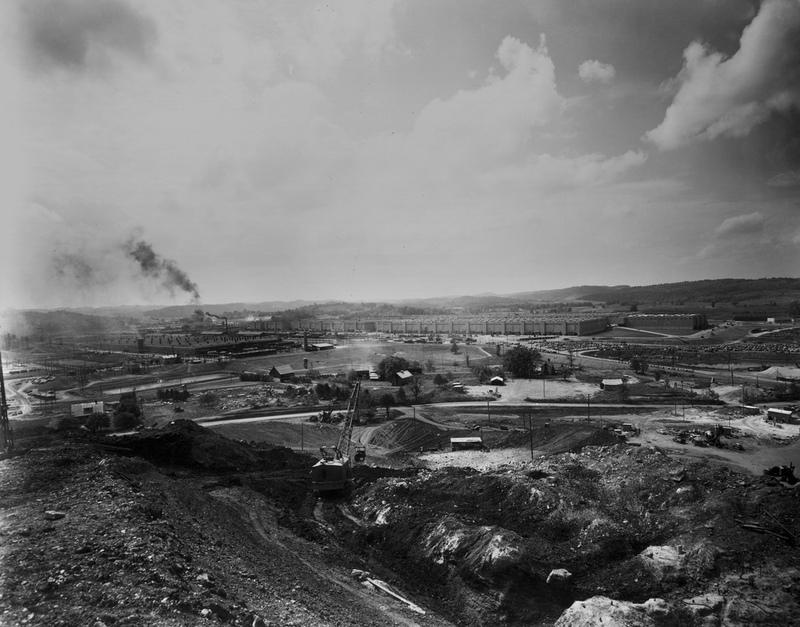 Breaking ground at the K-25 plant in 1943. I had known a bit about Oak Ridge and the Clinton Engineer Works before the DOE sent me the old photos (apparently, someone at the department understood well my affinity for such old photography), but I certainly was not a Manhattan Project expert. 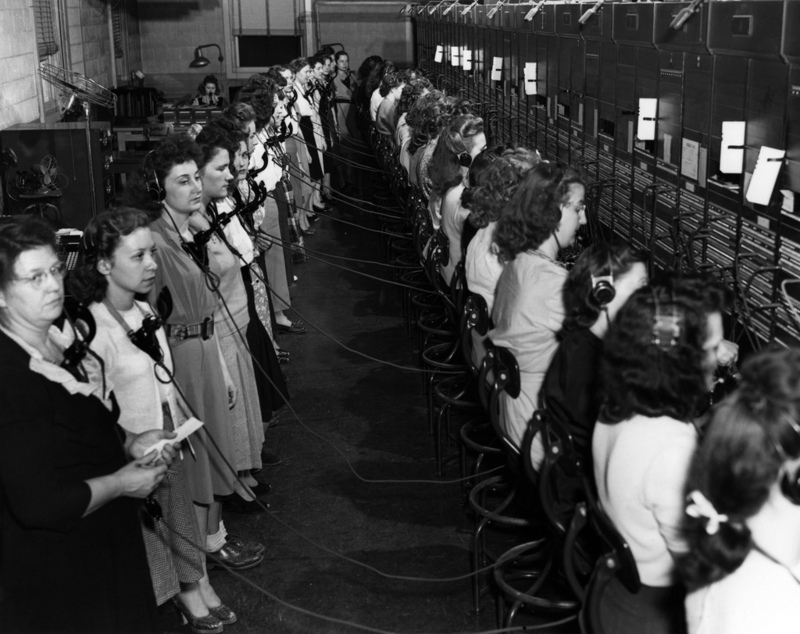 Coincidentally, around that time of the Oak Ridge post, I heard about the book The Girls of Atomic City, which told the story of the project in the hills of Tennessee and the many women who were so important to the success there. I didn’t actually read the book right away and soon my interest in Oak Ridge was diverted to other historical distractions. In the fall I was visiting Cambridge, Mass. for the Harvard vs Yale game and I noticed the book Ike’s Bluff by Even Thomas in the window at the Andover shop and eventually bought it. Eisenhower is a personal hero and my most admired President and I was keen to read it right away. The book details much of Ike’s foreign policy and talks a lot about “The Bomb” and Eisenhower’s work to prevent the country from wasting massive amounts of money on defense (which it ultimately did anyway, something Ike warned against in his farewell address) and plunging the the globe into World War III. After reading all about Ike’s determination to spare the world from the use of atomic weapons, I eventually went back to finally read The Girls of Atomic City and was further fascinated by the sheer scale, sacrifice and secrecy of the program. Due to compartmentalization of the project, very few people in Oak Ridge actually knew what was being made in the massive buildings of the Clinton Engineer Works. The book was a really interesting read and I recommend it for anyone interested in the everyday life in Oak Ridge in the early to mid 1940s. 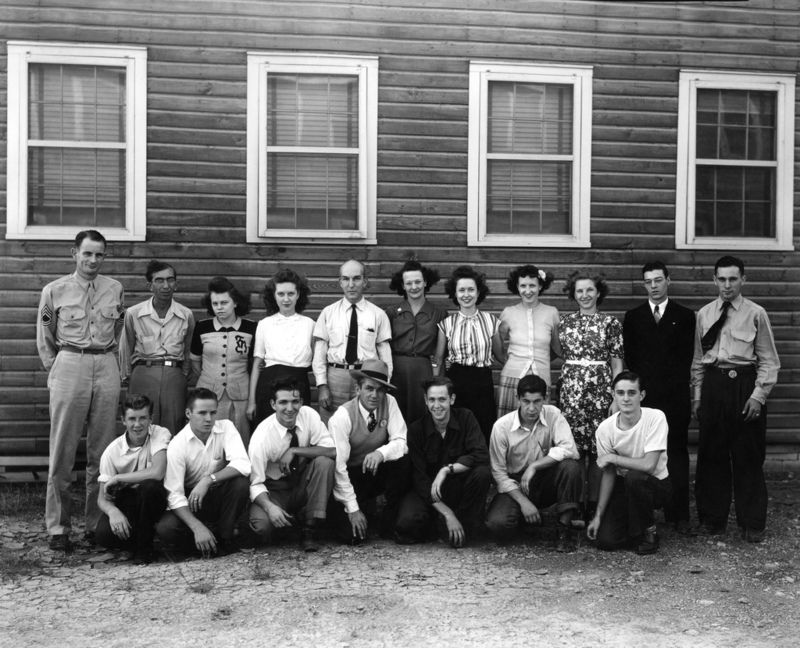 After I was done with that book, I went back to look at the DOE’s photos from Oak Ridge and CEW to align all that I had learned about the insane scope (in dollars, science, labor and secrecy) of what happened in Oak Ridge during World War II with the actual photos from the era. It’s pretty crazy that it was a success and I can’t even image what it must have been like for the thousands of workers at CEW when they found out on August 6th, 1945 what exactly they were all working on. 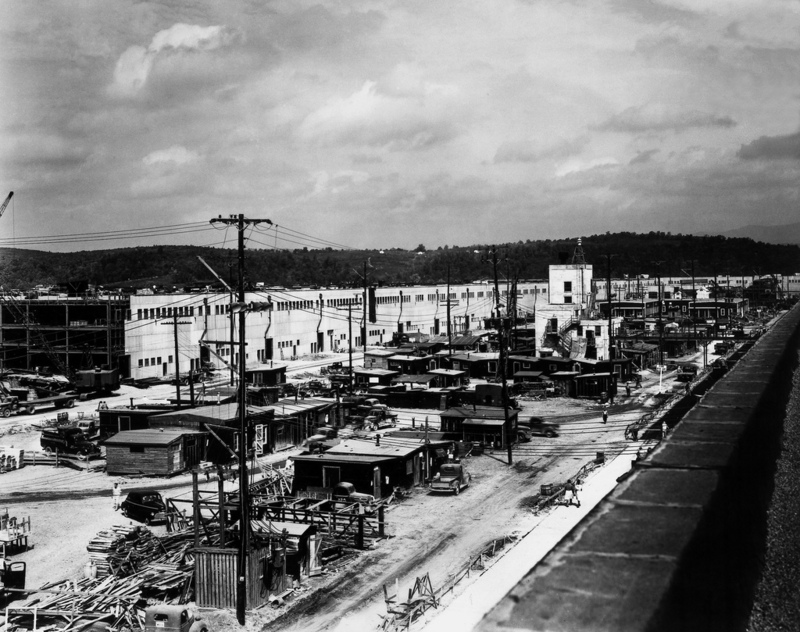 More about Oak Ridge during WWII here. This is great. The scale of the whole Manhattan Project is just mind-blowing. Hard to remember that the ultimate goal was efficient destruction. I toured the Hanford site in Washington this spring (where they made the plutonium for the “Little Boy” bomb) that at one point had well over 100,000 people working on it. They didn’t even know it would work for sure, but it was operational within 14 months. They are restoring the original “B” reactor as well as they can to the original 1944 condition and you can stand right in front of the reactor core, sit in the controllers’ chairs, and see the tools the workers used to keep the place going. I’ll have to arrange a trip to Tennessee one day to compare the two. Great post, Michael – and timely as well with the recent increase in saber-rattling re: another military intervention. Ike tried to tell us. 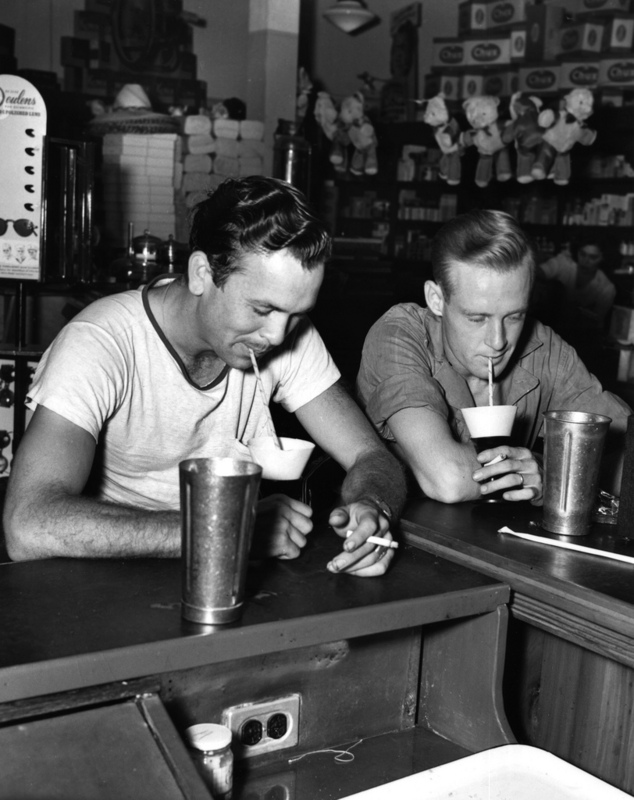 As a recent visitor to your site I went to your initial post and especially enjoyed the photo that included a man wearing two-toned balmorals, as I am old enough to remember when men, women, and children actually dressed in clothes other than cargo shorts, knit tops, and flip-flops. Amazing. @drewbedsole you’re correct. Ike did try to warn us. 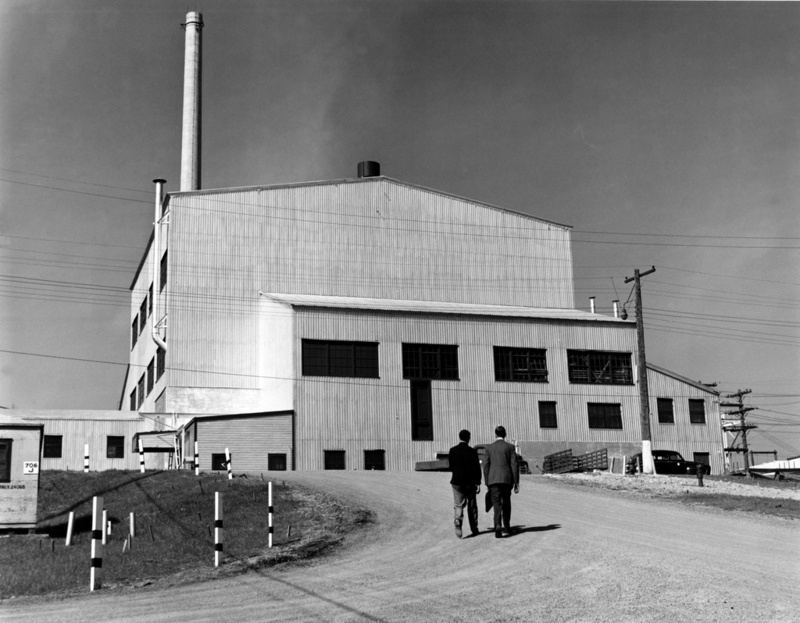 Great to see your interest in the history of the Manhattan Project and your post about Oak Ridge. 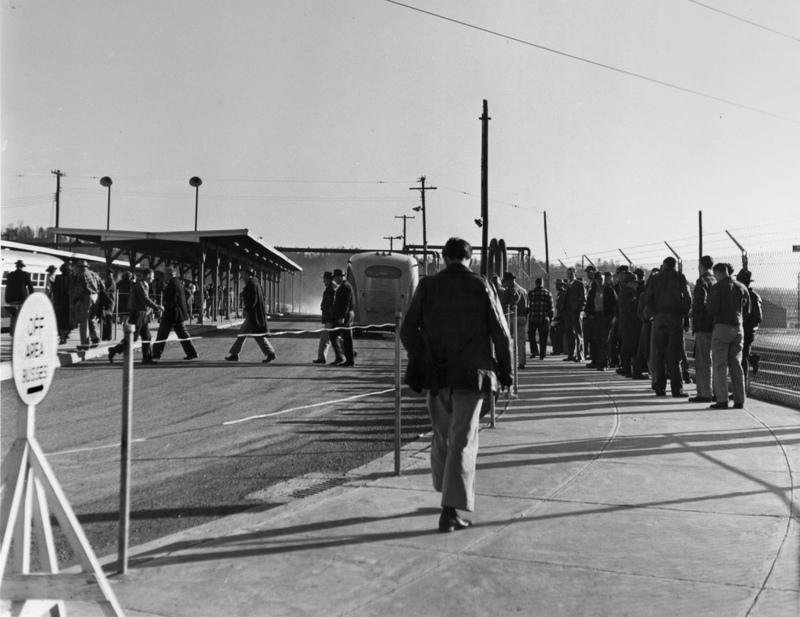 The legislation to create the Manhattan Project National Historical Park, passed in the House last week and is pending in the Senate. The park will be located in Oak Ridge, TN, Los Alamos, NM, and Hanford, WA. Although still years away, this phenomenal and world changing history will be preserved better if a park is established. I am also pleased to see you recognize the value of historic photos posted on Flickr. A good friend of mine is responsible for that! Also, “The Girls of Atomic City” by Denise Kiernan has gone as high as number seven on the New York Times Best Seller list. She is now on a national book signing tour and her book will soon be published in Poland! It is good to have been able to help her when she first began researching the project. As you have realized, I am sure, I live in Oak Ridge and am a proud historian, journalist, author and photographer. See http://www.draysmith.com for more history and photos. Keep up the good work focusing on our history! 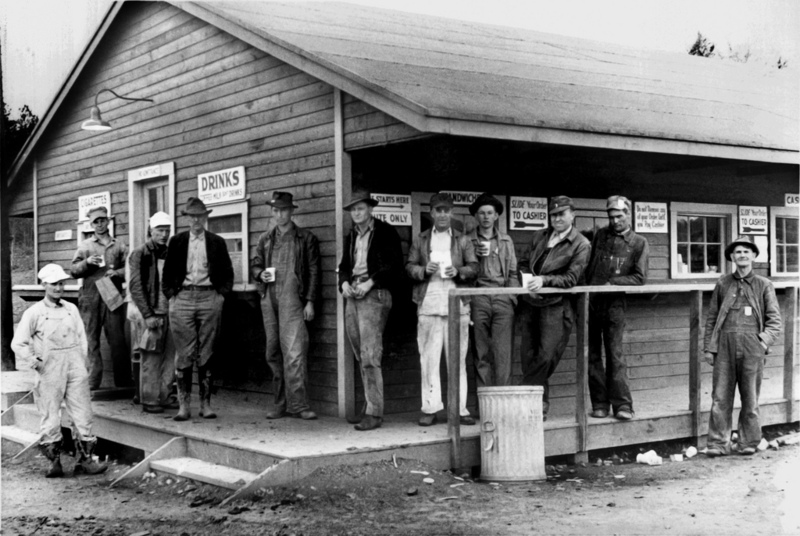 Contact me if you would like links to more specific insights into Oak Ridge history. Thanks for this post. Oak Ridge is a nice city to visit. The Manhattan Project effort has transitioned to a great Tech industry in the area. I believe ORNL can still boast one of the most powerful computers in the world. If you visit Oak Ridge you should stop in Clinton, Knoxville, and the Smokey Mountains. There is a lot of history in East Tn. Proud to call it home.